Among the many fittings available for the Alke' XT, we also find the steel mesh sides for the loading bed. 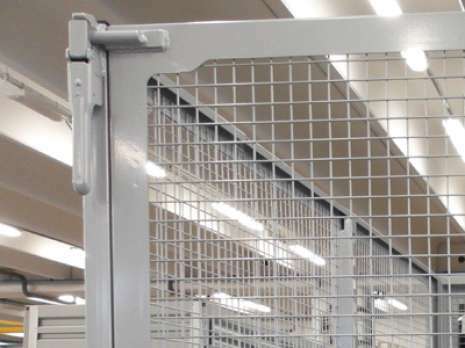 Within the range of fittings of the XT utility vehicles, we also find the steel mesh sides. 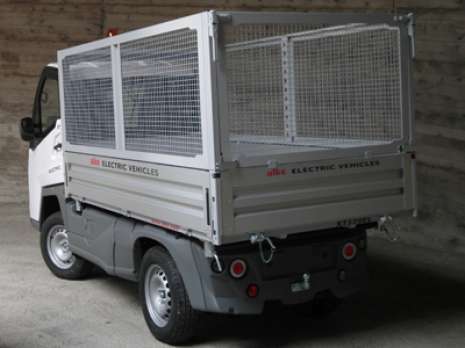 The loading and transport potential of the utility vehicle is increased thanks to the application of the steel mesh sides. 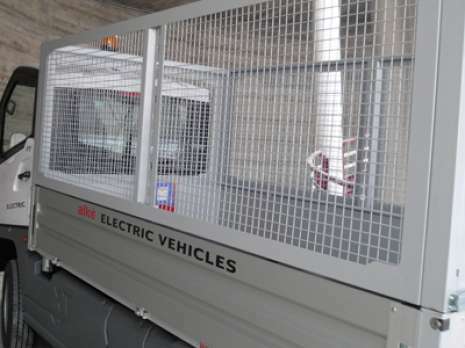 These are very useful in an urban context for waste collecting or maintenance of green areas; as an example, the electric utility vehicles with steel mesh sides are ideal when many stop and go actions are required. Particular attention is dedicated to the comfort of the person using this work vehicle: independent air suspension, mechanical servo brakes and power steering are just some of the assets that make the work utility vehicles comfortable. A 7 inch screen at the centre of the dashboard allows to monitor all functions and operations, with the selection of different settings required, depending on the environmental and working conditions. When a large fleet of working vehicles must be managed, the performance recording and remote diagnosis system, with which the XT vehicles are fitted (on request), is also very useful for the remote control of any malfunctioning of electronic parts and to assess performance on the various routes. Using this system means that keeping the fleet of vehicles efficient becomes a very simple matter. 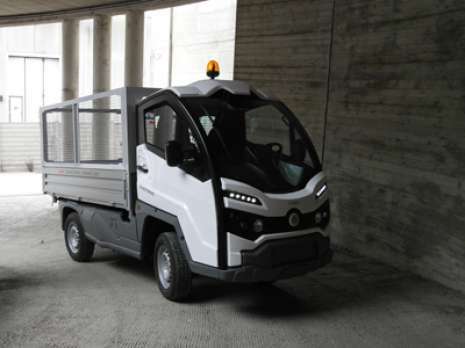 The XT electric vehicle with steel mesh sides has a load capacity that can reach 1045 kg and a towing capacity that can reach 4000 kg (not for circulation on public roads). It is a strong and ecological work vehicle able to achieve performance equiparable to equivalent fuel-driven vehicles, with the advantage of not polluting,working silently and having lower handling costs. Thanks to the steel mesh sides mounted on the loading bed, it is possible to load and transport leaves, wood, waste, laundry, road signs and bulky material in general, also in limited traffic zones and at times of the day when it is normally recommended not to make a noise. The height of the sides increases by 67 cm with the steel mesh sides. 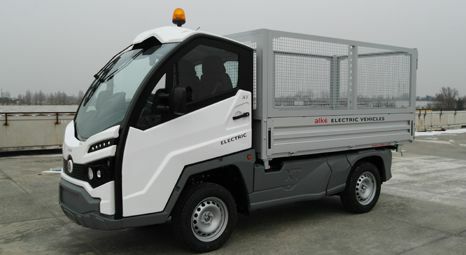 As well as the fitting with steel mesh sides, other fittings are also available for the utility vehicles: chassis only version, flat cargo bed version, with aluminium side panels, three-side tipping, version with alluminium waste collection body with or without bin lifting system, version with body tarp and VAN version with 2 side shutters. The technical specification, design and performance of the products stated can undergo modifications without forewarning.